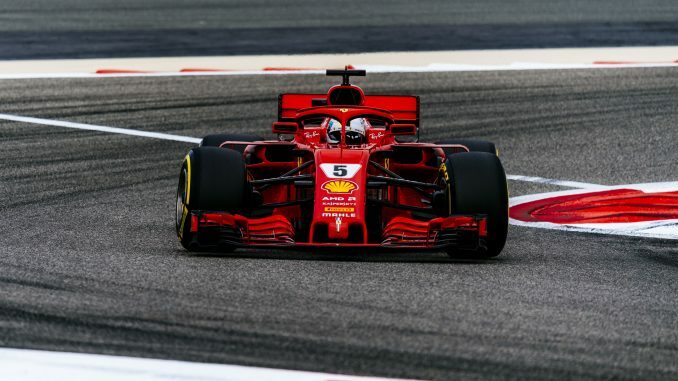 Sebastian Vettel narrowly beat teammate Kimi Raikkonen to clinch pole position at the 2018 Bahrain Grand Prix. 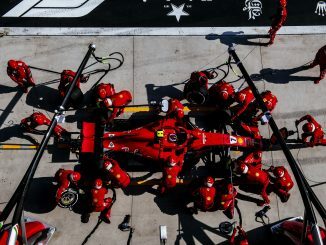 The four-time world champion needed to push on his second run in Q3, with Raikkonen initially looking the quicker of the two Ferrari drivers, but the German found a lap of 1:27.958 to ensure he’ll start at the front of the grid tomorrow. Valtteri Bottas couldn’t repeat his pole position from last year, but did get the better of teammate Lewis Hamilton, who will start from ninth as a result of a five-place grid penalty, leaving Daniel Ricciardo to start alongside Bottas on the second row. The red flag came out towards the end of Q1 as Max Verstappen spun in turn 2, sending his Red Bull into the barrier. He’d already set a time good enough to set him through to Q2, but the damage to his car prevented him taking any further part in qualifying. Fernando Alonso was lucky to progress to the second part of qualifying, as he set the same time as 16th placed Romain Grosjean, but the Spaniard posted his time first, leaving him 15th at the end of Q1. 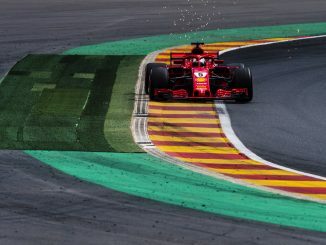 Charles Leclerc pressed hard in the final seconds of the opening session, but spun late in the lap to prevent him improving his time. Toro Rosso showed a vast improvement from Australia, with Pierre Gasly progressing comfortably to the top 10 shootout, while Brendon Hartley missed out by just over 0.1s. 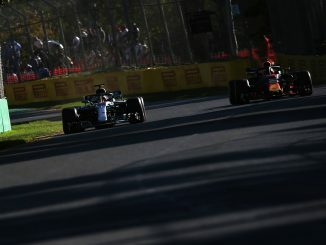 Kevin Magnussen secured back-to-back appearances in Q3, despite seeing his teammate drop out early on, while Esteban Ocon gave Force India their first Q3 of the season. Gasly, somewhat surprisingly, was quicker than both Renaults, Ocon and Magnussen, and with Hamilton’s penalty he’ll start the race from 5th.